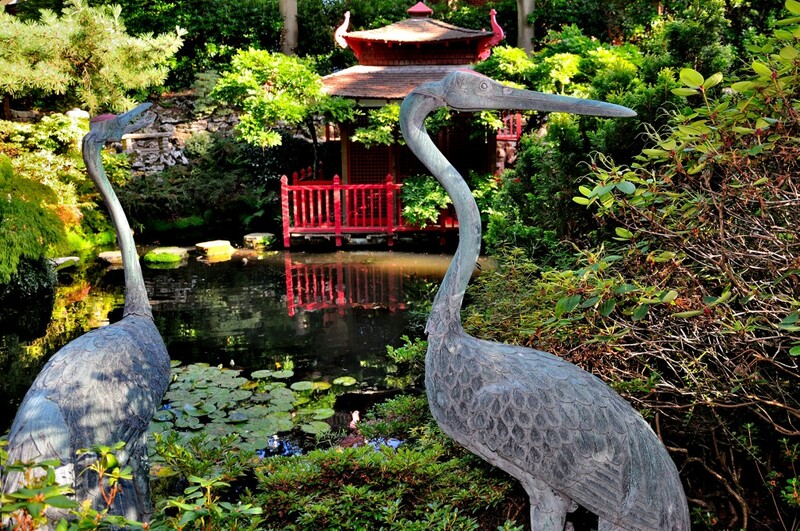 The Japanese Garden encompasses Thomas Simpson’s love for the unique elegance and incomparable beauty of Japanese horticulture. 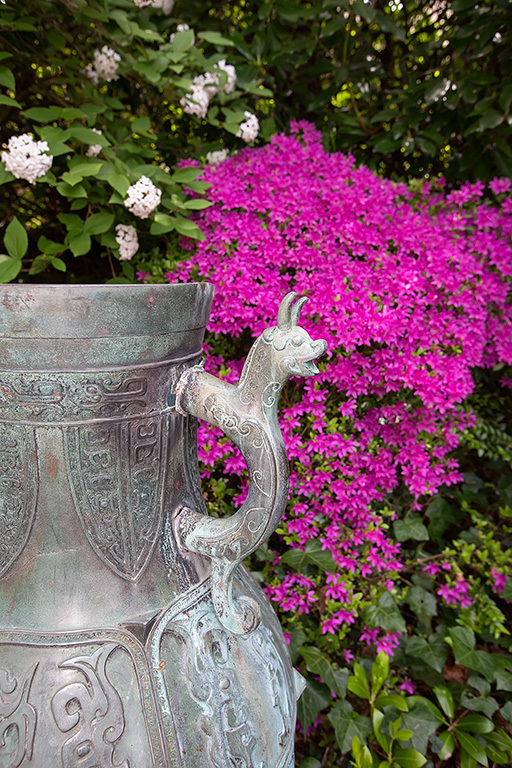 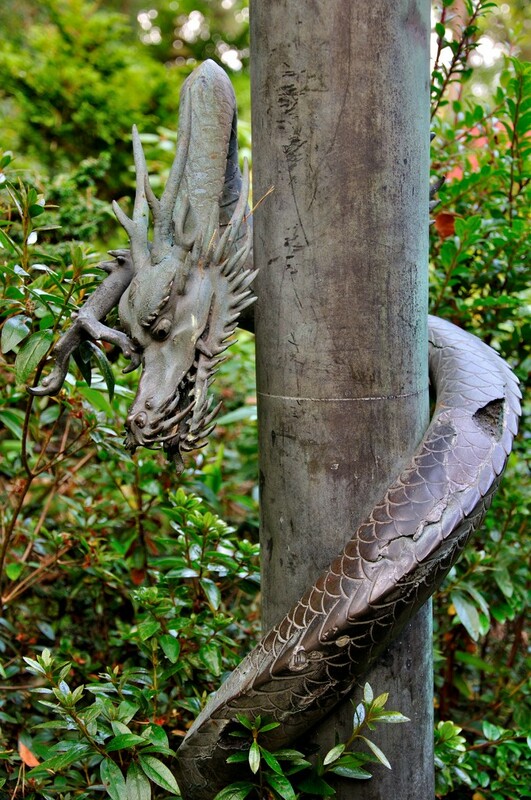 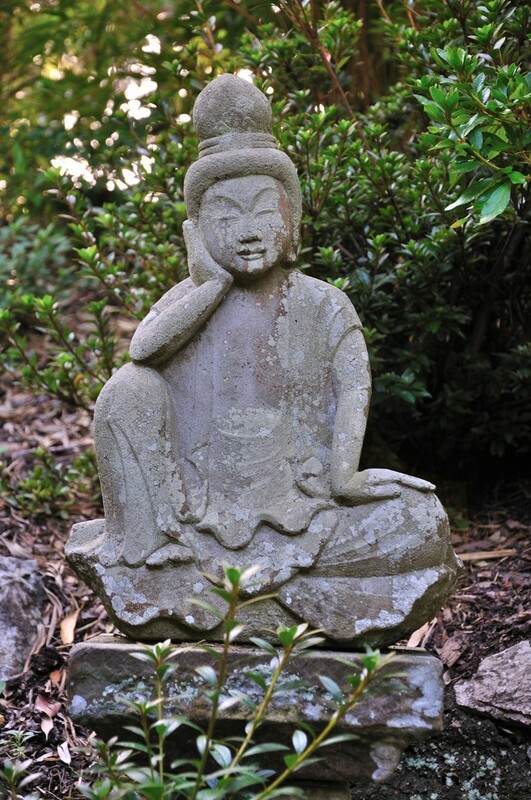 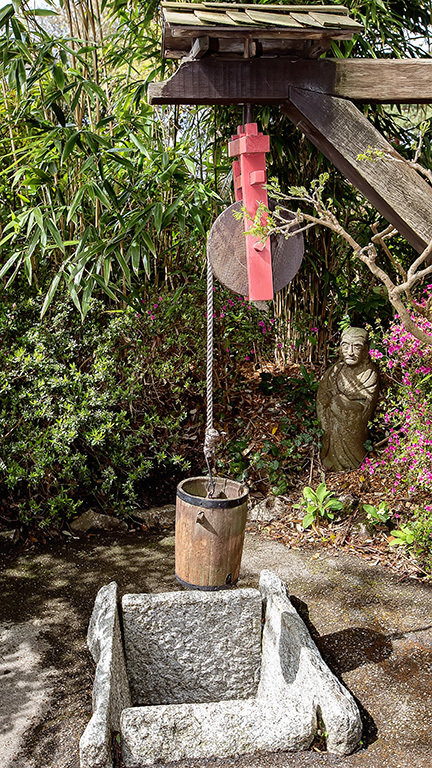 He imported genuine stone and bronze artefacts to enhance the garden. 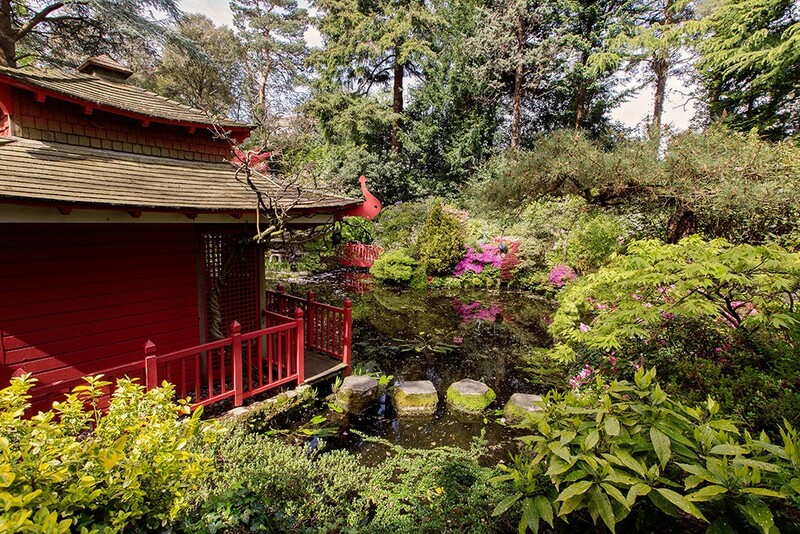 The Tea House is draped with Japanese wisteria (Wisteria floribunda) and plants native to Japan have been used including the spectacular Kurume Hybrid azaleas, Japanese cherries and maples together with hostas, Hakon grass and a Ginkgo. 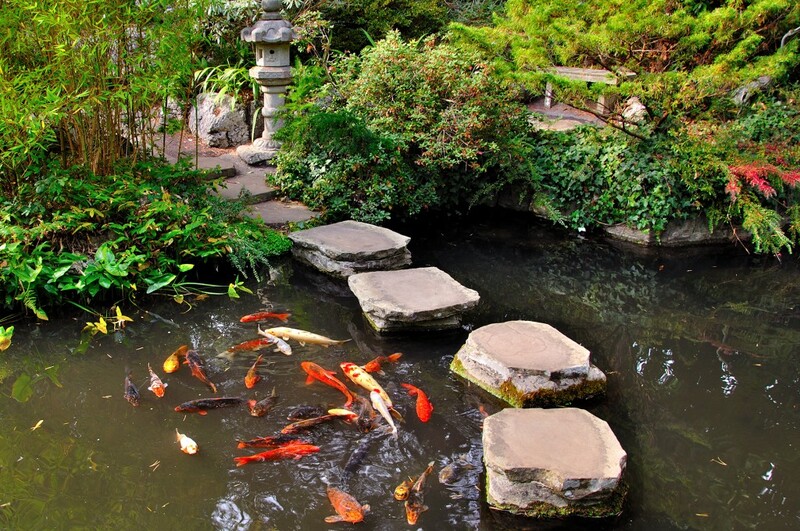 The pool is home to large Koi carp best viewed when crossing the water on the stepping stones. 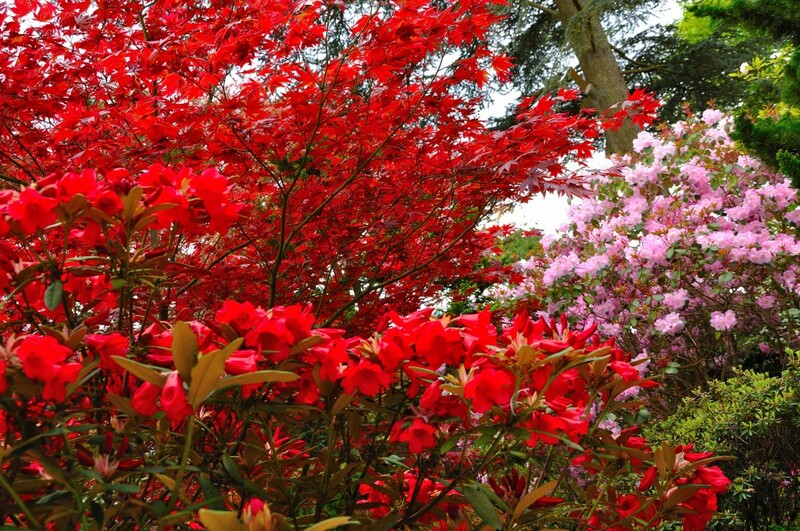 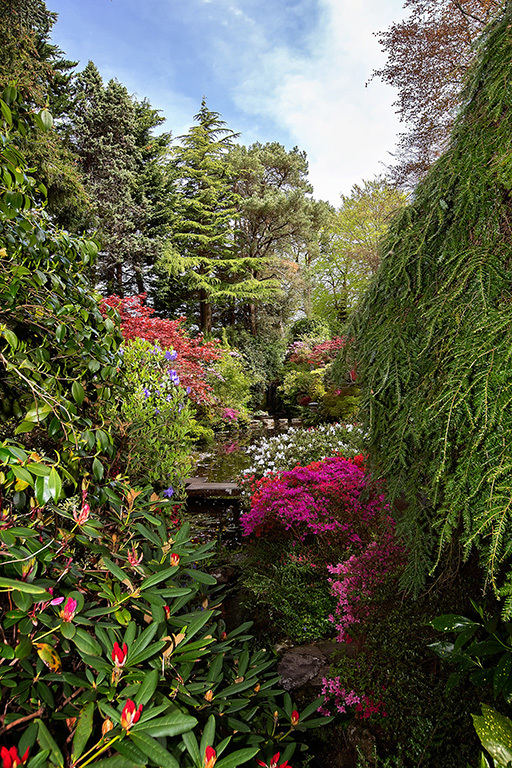 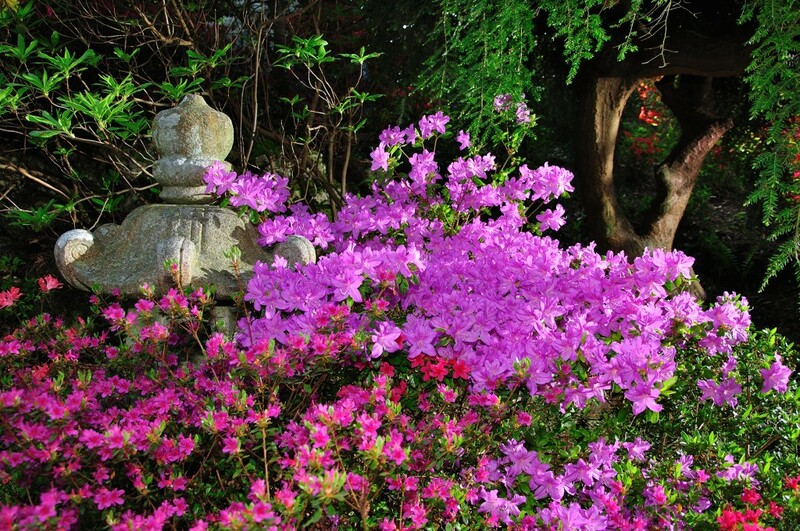 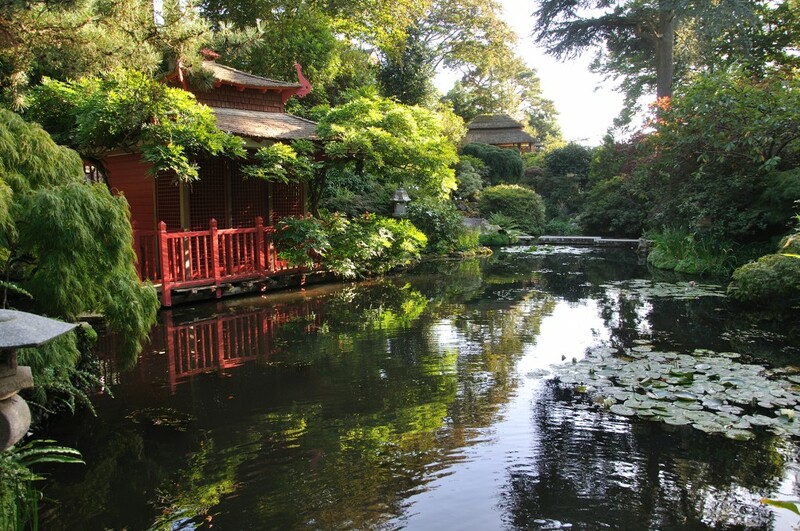 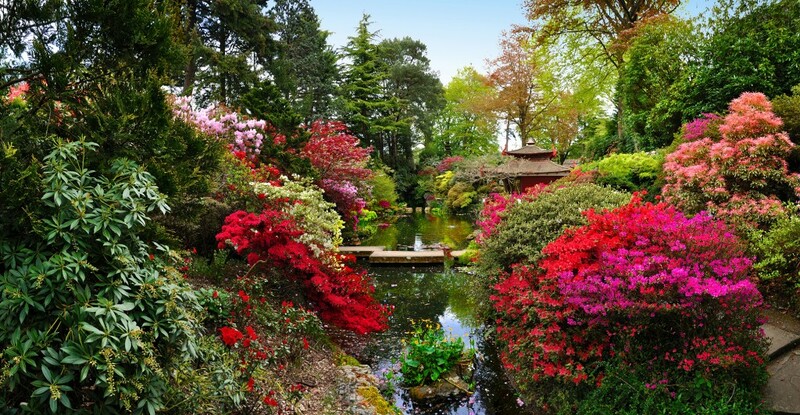 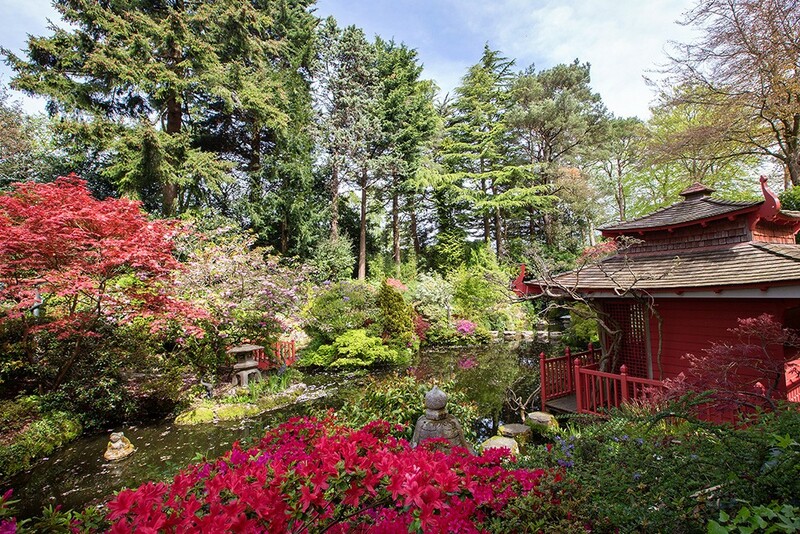 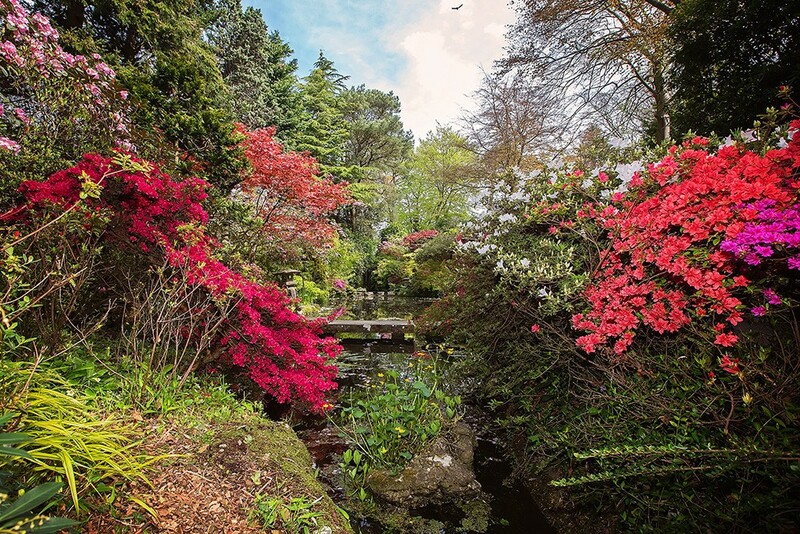 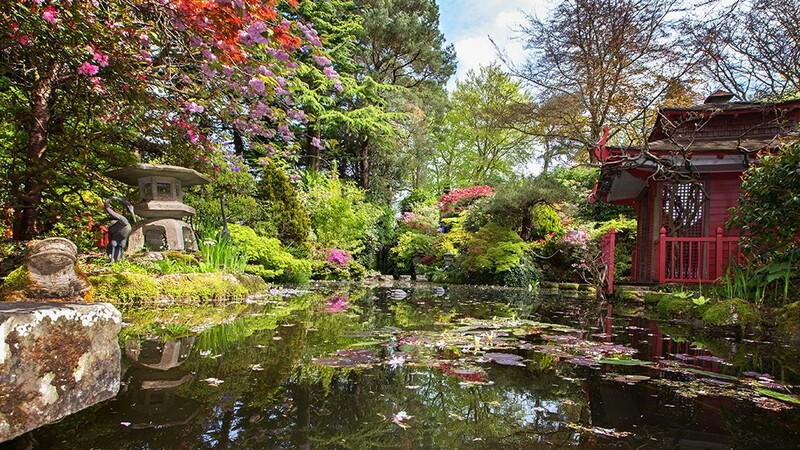 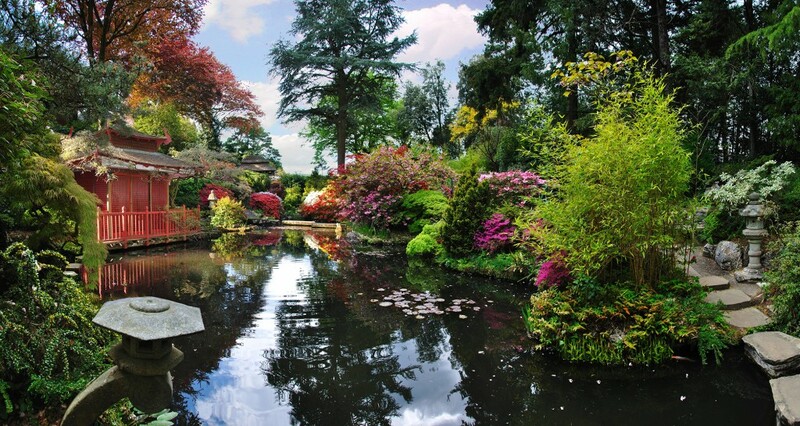 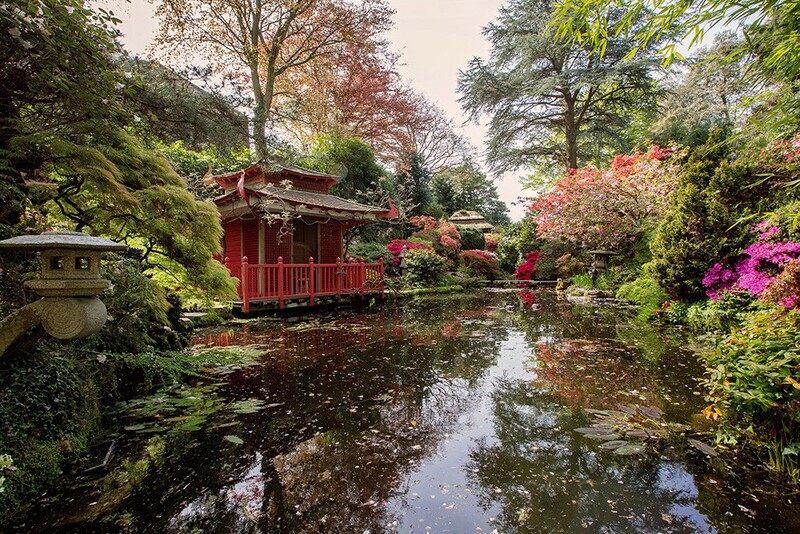 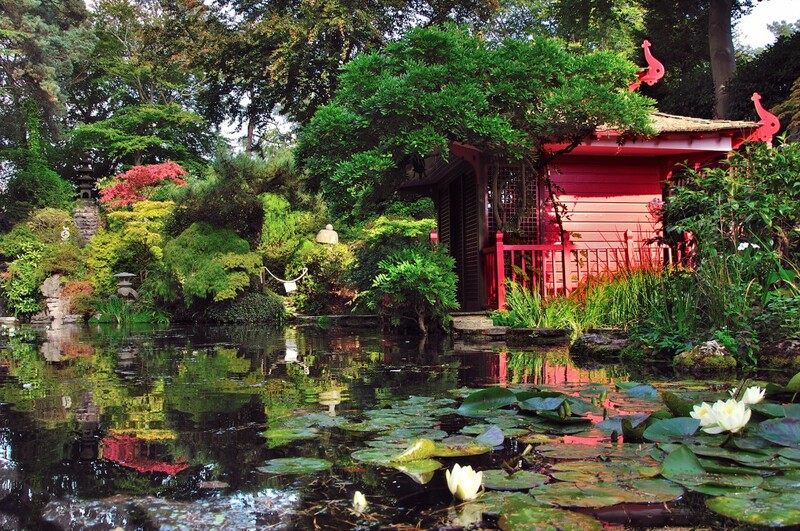 The Japanese garden is still regarded as one of the finest in the country.